Mercy caters to needs of the senior community by offering a safe, caring, and stimulating environment: a comprehensive program that uniquely integrates social interaction, creative activities, personal care, and nursing services. 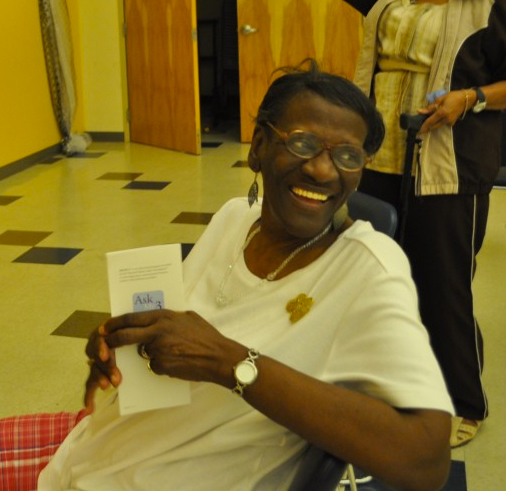 Any adult age 60 and older can participate in our adult day program. Also eligible for adult day services are those experiencing difficulty with daily activities due to health problems and/or disability. Mercy Neighborhood Ministries offers compassionate, loving care. From the moment you arrive, until it’s time to go home, you will receive plenty of attention, respect and a healthy dose of fun! To schedule a visit, please contact our program director, Ms. Barbara Coleman at 215.227.4393 or using this form. Complete the following forms and bring them with you on the day of your visit.